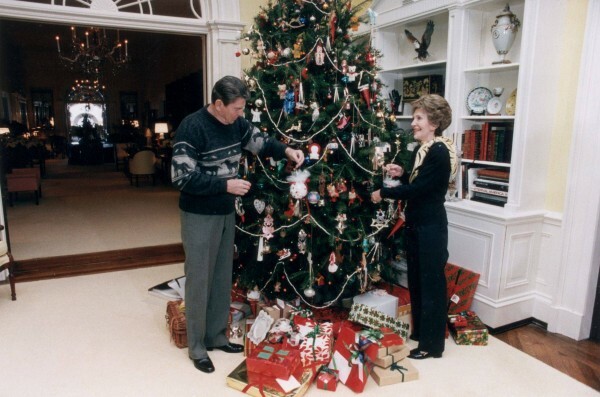 At Christmas, I Long for Leadership Like Ronald Reagan Showed in his Christmas 1981 Message | Virginia Right! I have to give a hat tip to Delegate Bob Marshall for his email reminding me of the existence of this video. America sorely needs the kind of leadership Ronald Reagan displayed as our President. A faith in God and in America are the only two ingredients the founding fathers thought necessary in creating this country that is now in it’s darkest hour in my lifetime. America’s darkest hour has arrived because our current leaders work tirelessly to purge God and the morality of self-discipline from this once great land. Without God, faith in America is hollow and useless. Our Republic was designed to be One Nation Under God. Without His Divine guidance this country will and has fallen from lofty platform we once occupied. America is certainty not a Godless nation. We are still a people of faith. It is our government and the courts that have failed to seek God’s guidance and blessing in all we do. We are on the verge of a race war that this hyper-partisan left wing president has instigated and continues to fuel. This president has turned the IRS, EPA, Homeland Security and virtually every governmental department against those who have different points of view. We have lost our way as a nation. We have become a reflection of the selfish secular leaders who claim to be on America’s side, but have moved us away from God’s side, the only side where we will survive and prosper. Ronald Reagan was a leader that understood completely how our Constitution was a formal commitment to God. Reagan was smart enough get that. Sadly, the current leaders of America, both Democrat and Republican, have reached the point that they believe they do not need God and His guidance in making and enforcing laws. God has been kicked out of meetings and sessions. Our leaders have reached the point that they believe they are smarter than God and they do not need him. Even as the nation and the world crumble and burn. Without God on our side, we are just another third world nation. We are no longer the Beacon of Light that once showed the world the way to prosperity through God. Our leaders pretend that a secular America is still that beacon, but to those who know God we see the deterioration and destruction of America as it implodes before our eyes. We who believe in God have an obligation to elect leaders that will welcome God back into all phases of American life and issue apologies to no one for our faith as a nation. And that is the only path to remake the America. Either we are “one Nation, under God, indivisible” or we are a divided nation. And America has never been more divided that it is today – because we have allowed our leaders to formally reject God. Please watch this video. Reagan’s default position was the one that sees America and God on the same side. Merry Christmas from me, Tom White, and everyone that has been a part of Virginia Right! in 2014. And help us remember what this nation was when God was an honored Guest and Citizen. Guts & courage to Speak Truth to power & call them out regardless of party, race, creed, color, or gender. Have no fear Mr. White, your guardian angel we continue to work overtime to deflect all the arrows away from you. I totally agree. Ronald Reagan worked with Congress too. He cut deals with Tip O’Neil. Our current president just signs executive orders.